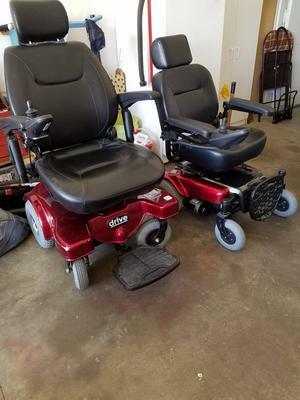 I have two (2) used mobility scooters for sale. Both of the electric mobility scooters have had very little use. They are both used but both of them have new batteries. The electric scooters are in Marshalltown, Iowa and the price on the large one is $1500 and the small one is $800. If you have questions or want to make an appointment, please contact me using the comment form provided by GoGoCycles Used Motorcycles for Sale . Do you have the brand or model names of them?